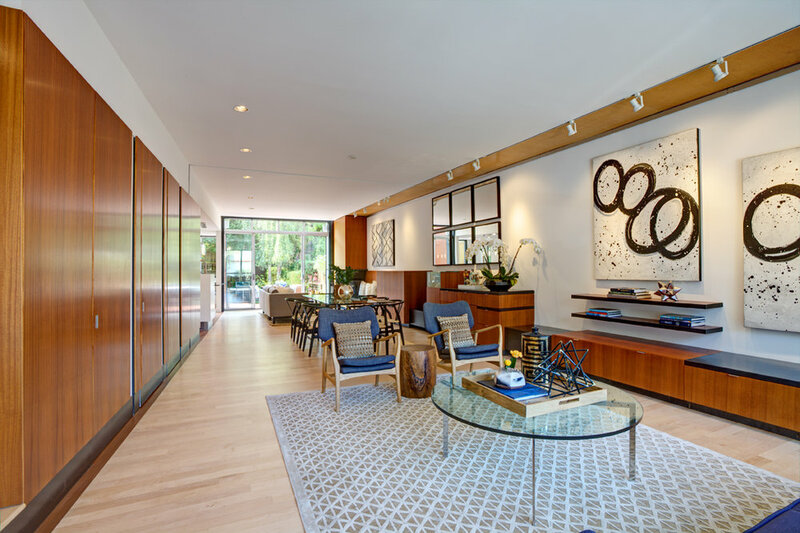 Designed by world renowned architect John Maniscalco, contemporary architecture and clean lines are the focal point of this incredible single family home. The main level of the home has a large open floor plan, allowing for flexibility of space and is accented by a wall of built-in cabinets opposite a wall of oversized wood panels. Details include refinished hardwood floors throughout, contemporary finishes, and natural elements. The family room, adjacent to the kitchen, is centered around a fireplace and enjoys direct access out to the private garden. The garden has been intelligently designed with a walkout deck and built-in bench, gas firepit, mature plants, an auto-irrigation system, and incredible privacy. As you step back into the house, you enjoy modern sightlines throughout the main level, ideal for todays living. The kitchen overlooks the great room and is appointed with stainless steel appliances including a gas range and grill, ample storage space, an island, and multiple surfaces including granite, stainless steel, and natural wood. 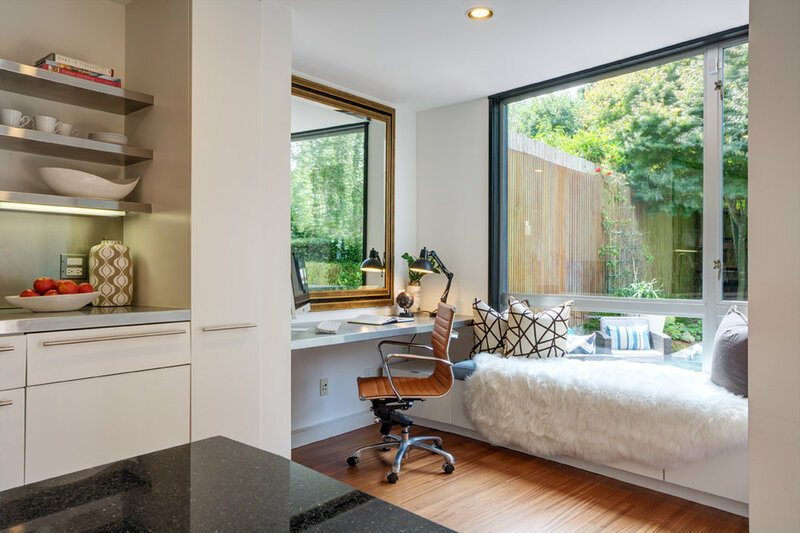 An office nook, overlooking the garden, includes a built-in desk and window bench. Completing this level is a powder room, cleverly hidden behind an over-sized wood paneled door that seamlessly blends into the great room. The next level up hosts three bedrooms and two baths. The master suite, situated in the rear of the home, has incredible scale as well as an en-suite bathroom, walk-in closet, and fireplace. A wall of windows overlooking the lush greenery below, as well as a series of skylights, elevate the serenity of the master bedroom. The en-suite bathroom is appointed with double sinks, a deep soaking tub, and separate glass-enclosed shower, all overlooking the trees below. Across from the master suite are two additional bedrooms, each with great closet space, as well as the second full bath. Outside of the bedrooms is a gathering space with a steel bench and a series of built-in shelves. On the top floor of the home is the dramatic pentroom. The pentroom is flooded with natural light by windows on three sides and is the ideal space for a family room or office. Views of the Golden Gate Bridge, Pacific Ocean, St. Ignatius Church, and the Marin Headlands can be enjoyed from this level. 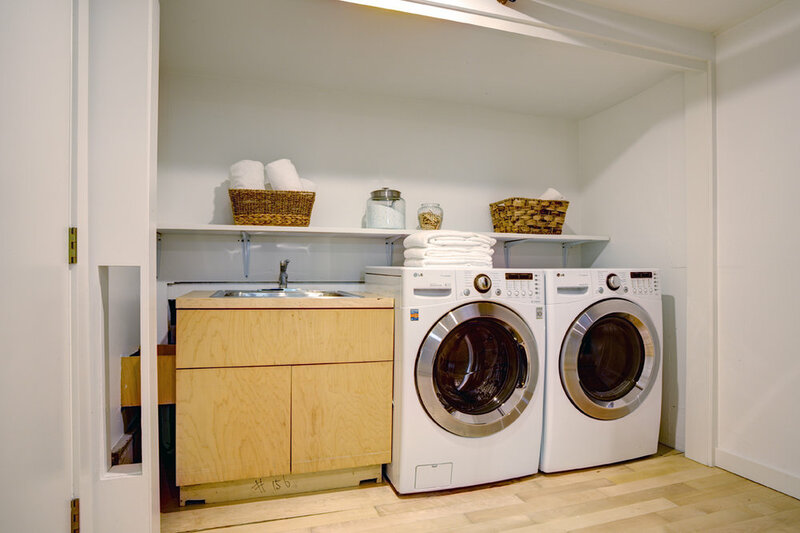 Completing the home is the lower level, which hosts a family room, laundry room, and interior access from the garage. The garage includes built-in cabinetry and spacious parking for one car. 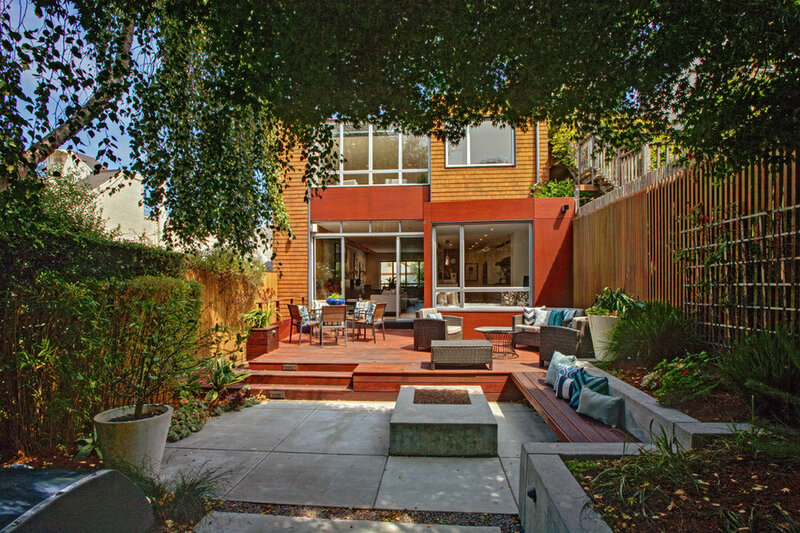 1513 Cole St is located on a cul-de-sac at the southern edge of Cole Valley within walking distance of the restaurants and shops along Cole St as well as easy access to public transit.